10 Reasons Why Mobile Apps Are The Right Fit For Your Learning Strategy – EI Design Watch this video to discover why mobile apps are the right fit for your learning strategy. What Is Bespoke eLearning Featuring 6 Killer Examples – EI Design The edge that a bespoke or custom developed course has over off-the-shelf course is well established. 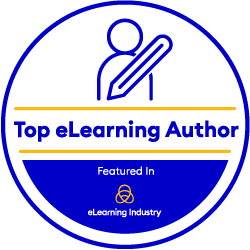 Go through this video that illustrates the power of bespoke eLearning to create sticky learning through 6 examples. 12 Performance Support Tools PSTs Or Job Aids Examples In Diverse Formats In this tutorial video, I am presenting you those 12 Performance Support Tools PSTs or job aids examples in diverse formats. Induction Αnd Onboarding Made Engaging Τhe Learning Portal Way – EI Design Have you ever tried learning portals in your organization yet? If you haven’t, it’s time you did so! Watch this video, to learn what learning portals really are and how to use them for your organisation’s benefit. Customising Feedback Masters In Articulate Storyline 360 In this tutorial, I’ll show you how to customise the feedback masters in Articulate Storyline 360 (this also works in SL 1 and 2). This will allow you to create a completely different look for your quiz questions.